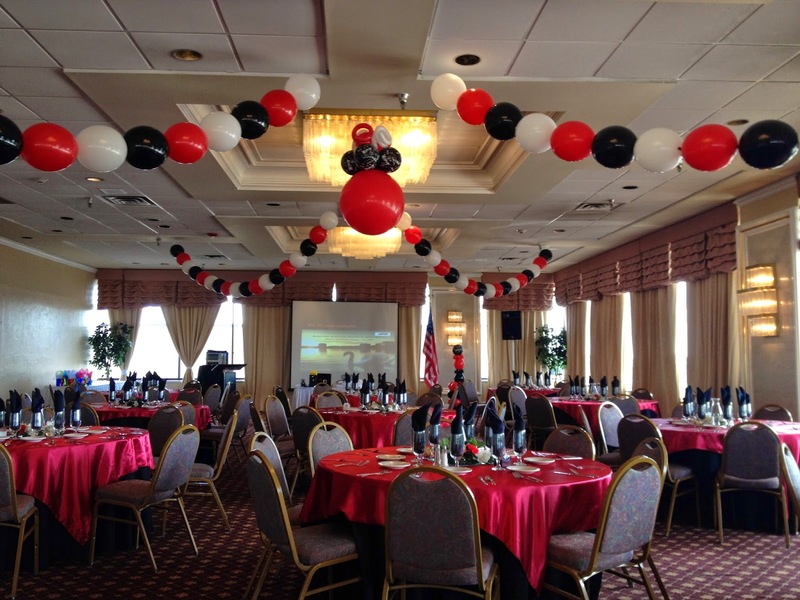 Linking Balloon Garland created a festive accent to the ceilin in the ABWA logo colors of Red, White and Black. 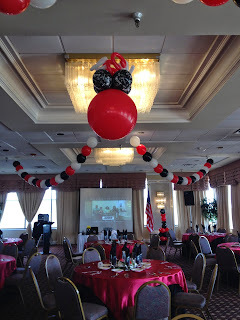 Jumbo 3 ft Red balloon with happy Birthday and Curl accents creates a balloon chandelier in the middle of the ceiling. 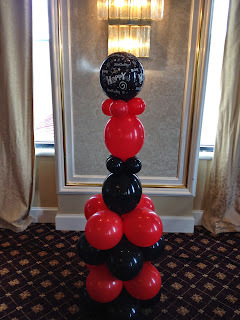 Garland and linking Birthday column. 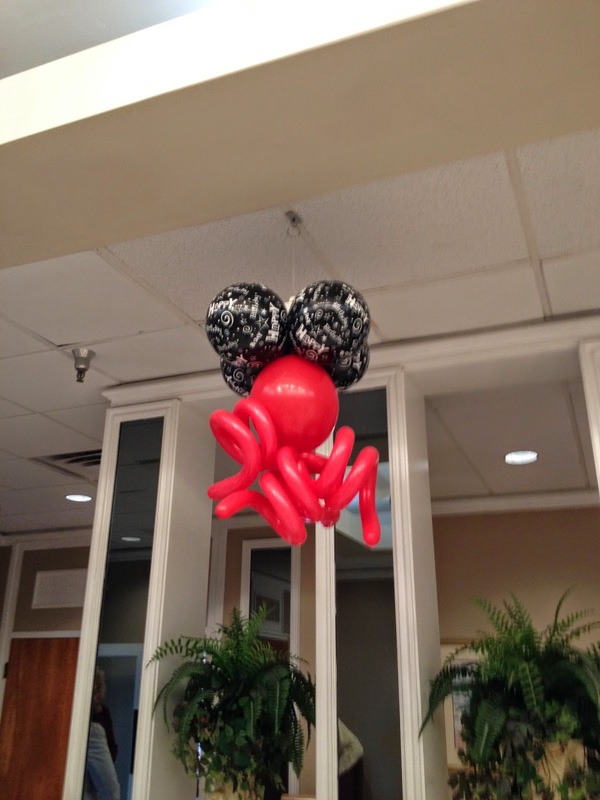 Fun Festive Balloon Chandelier Greet all ABWA members and guest as they arrive at the Check in table. Contact Party People Celebration Company to Create Balloon Decor for your Celebration. 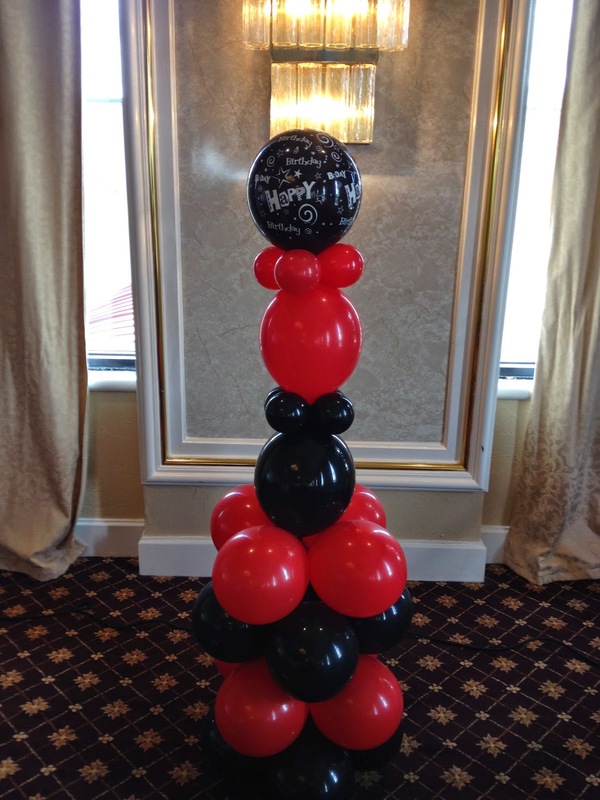 863-255-2025 email partypeoplecc@msn.com Party People Celebration Company is located in Lakeland Florida and serves central Florida.